After 36 years together (34 of marriage this September), the husband and I rarely go on dates. We are both more comfortable at home, or just hanging with close family and friends. 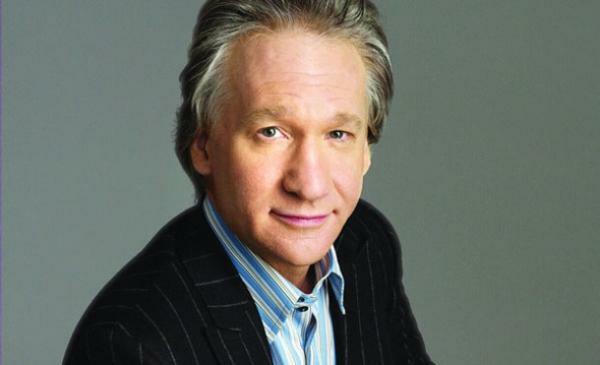 We’re friggin old (heck, I’m the same age as Bill Maher). But we have an out-of-the box date coming up this Friday night. I signed up for a mixed-media jewelry class in Los Angeles through Make Art in LA, which lasts from 10:30 am til 4:30 pm. My plan to was to get there and get out. I discovered that the class is just a couple of blocks from the studio where “Real Time with Bill Maher” is taped. I inquired, and I was able to secure two tickets for this Friday’s episode. We need to be there by 5:30, so the timing worked out. The husband loves Maher’s show and his humor. As an added bonus, he’s going to have a few guests that the husband admires: Fareed Zakaria and Senator Elizabeth Warren. The husband hates LA, but other than a trip or two to Hollywood, he has never really experienced that city. And there are pockets of that vast city that are pretty cool. Sadly, there are plenty of pockets that are soulless. But we’ll be a in a semi-cool pocket. While I’m in class, he’ll visit the La Brea Tar Pits. He’s a history/archeology buff so I know he’ll enjoy that, and he’s never had an excuse to see it before now. I’m really looking forward to this date night with the hubby.